The traditional locations – over your dining table and in your foyer or entryway – are still the popular places to hang a chandelier. But anywhere you have the ceiling height to accommodate a chandelier and think one would look good is worth considering. Your bedroom, if it has a raised ceiling, might work, for example. ​Chandeliers are available in styles that will fit with almost any decorating theme from medieval to post-modern. 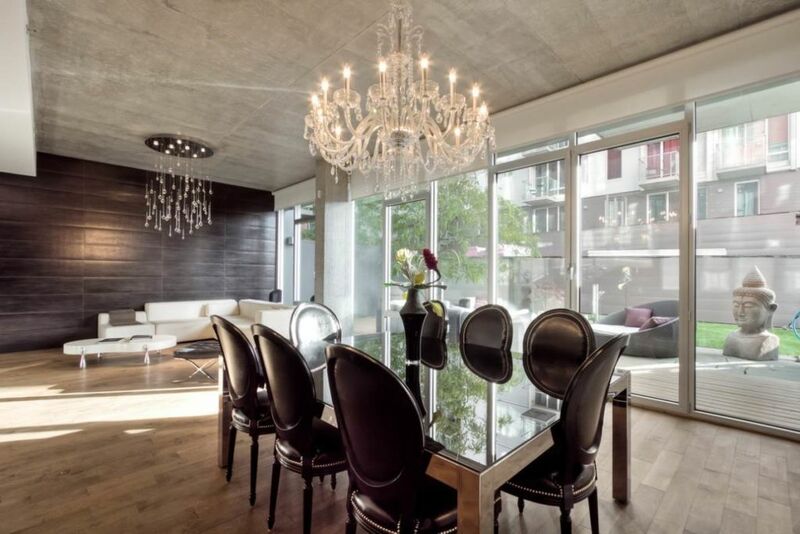 A chandelier should be sized in proportion to the room. In a dining room that’s 12 feet by 12 feet, for example, an 18″ to 24″ chandelier might be appropriate. In an entry hall with a very high ceiling and minimal furniture, you might prefer one that’s two or even three feet across. Bear in mind that, in general, the height of the chandelier will increase with the room diameter. While the proportions vary by style, a larger diameter chandelier will usually hang down further than a smaller diameter one will. Will It Need Special Support? Most chandeliers are heavier than other light fixtures, and chandeliers with crystals can be particularly heavy. If the chandelier you want weighs more than 15 pounds, you’ll need to install a special electrical box, just as you would if you were going to install a ceiling fan. In fact, it’s the same box. It will be a metal box, and it will have a message such as “Rated for Fan Support” stamped inside it. Those boxes are typically rated to hold light fixtures that weigh up to 150 pounds. If your chandelier weighs more than that, it will require special mounting hardware that should be supplied with it. How Far Down Should It Hang? You want your chandelier to be low enough to give good light but high enough to be out of the way. It means that if you’re going to hang it where people will walk under it, the lowest part of it should be no lower than 7′ above the floor. In a tall foyer, it might be 10′ or more overhead. 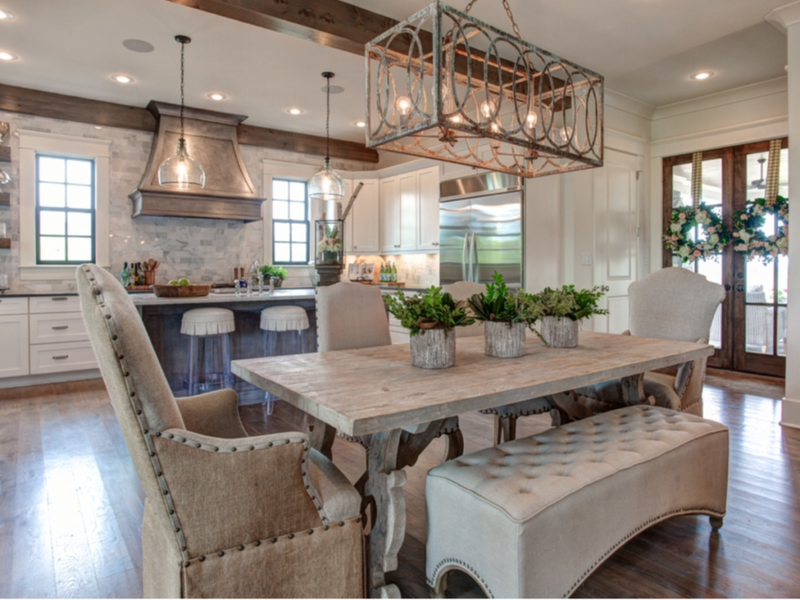 If you’re hanging it over your dining table, most people find keeping the bottom of the chandelier between 30″ and 36″ above the table to be a comfortable height.